One of my favourite songs…is actually about a Narwhal…if you want to go listen to it you can find it HERE. 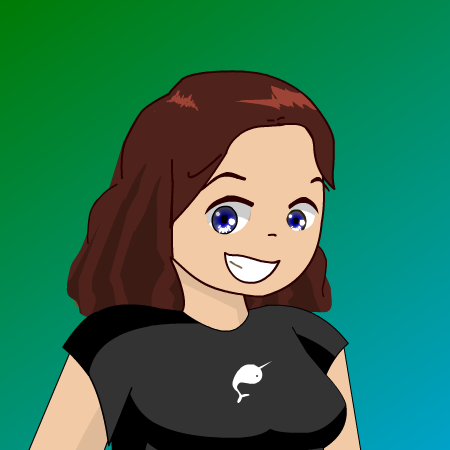 Everyone should have a Pet Narwhal…though I do think it’s yummy to eat! Debs & Errol made me a comic… and it ROCKS! 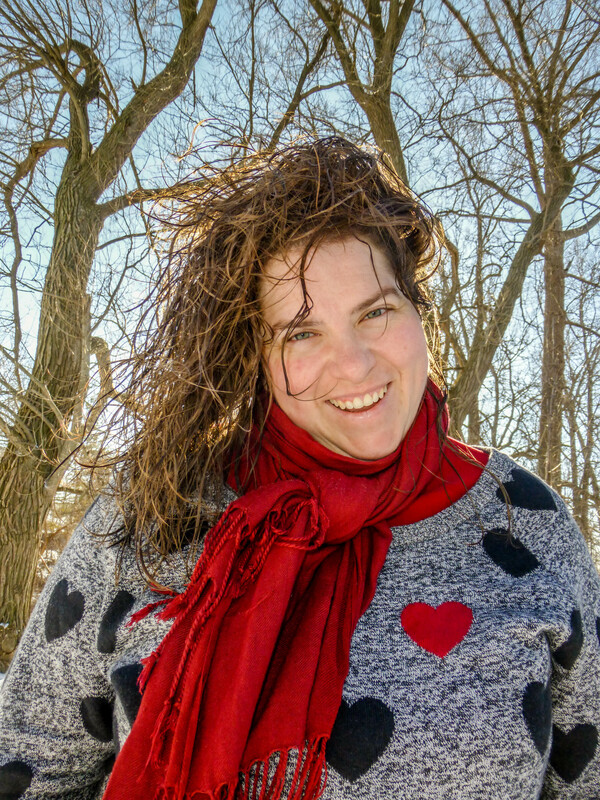 So I encourage all of you readers to go check out their Facebook Page… and/or website!! Thanks again Debs and Errol for the t-shirt…from your most-northern-fan…catch you next time I’m in Toronto! This entry was posted in Blogging Community, Friends, Random, Rants & Reflections on September 23, 2013 by Sarah on the Road. 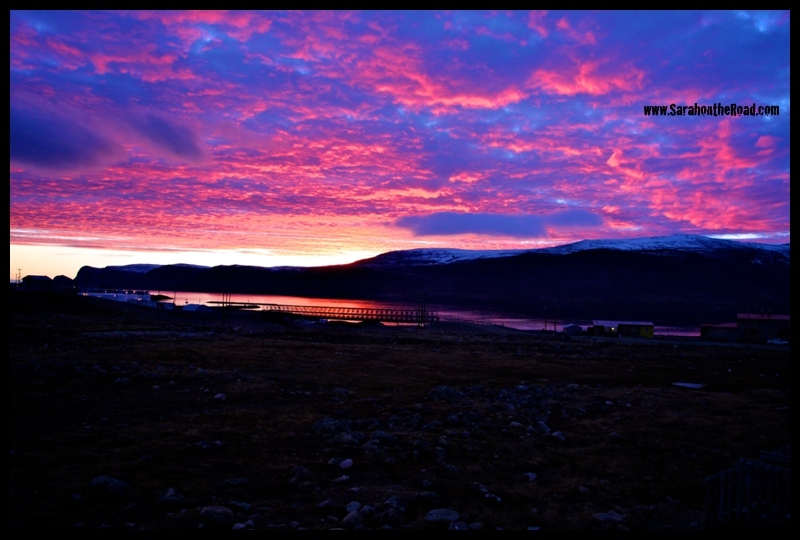 Last night was a gorgeous sunset here in Pang! Last night after talking with my mum, I just happened to look out my bedroom window at the right time to catch it. I grabbed my camera and stood on my back porch to snap these two shots. I knew if I walked to a new view I’d probably miss it totally! 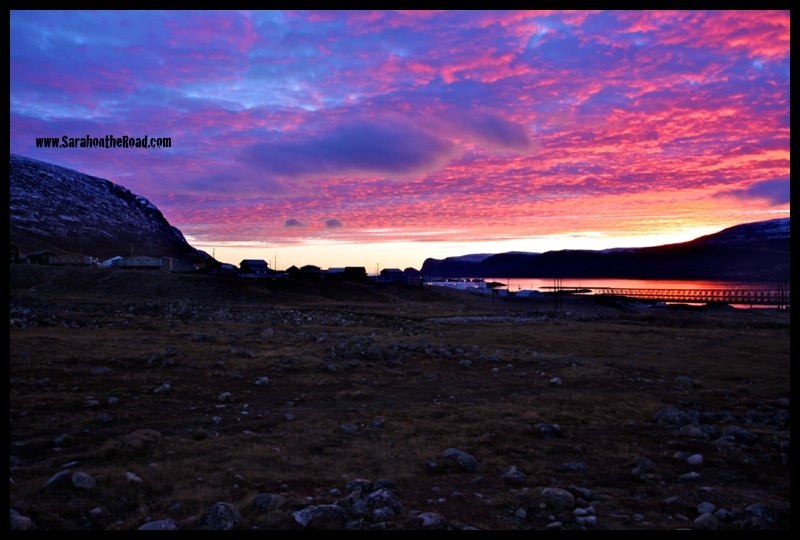 This entry was posted in Life in Nunavut, Photography on September 20, 2013 by Sarah on the Road. 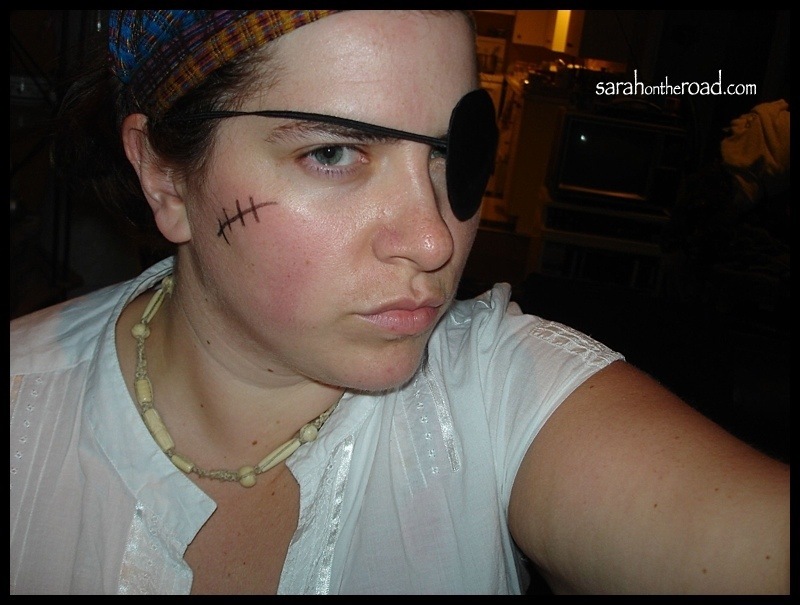 …’tis SeptembARrrrr 19th already ‘n that ye the hour to…speak LIKE A SCURVY PIRATE DAY has come yet again! If ye be a landlubber but would like to speak like a scurvy pirate fer th’ day but need a wee wee bit o’ help…head ov’r to ’tis full ‘o awe- glossary and that’s gunna help ye out on ye adventure! Don’t be a-feared to switch ye speak on th’ jolly barnacle-covered FaceBook…just turn it to English (pirate) ‘n spy wit’ ye eye what a a ruckas that gunna be! I be off to be off finish me daily chores ‘n then off to find me buckos ‘n do what all band ‘o pirates do best. Have a ruckas wit’ ye day but remember if ye cross a scurvy pirate ye might end up sailin’ th’ plank! 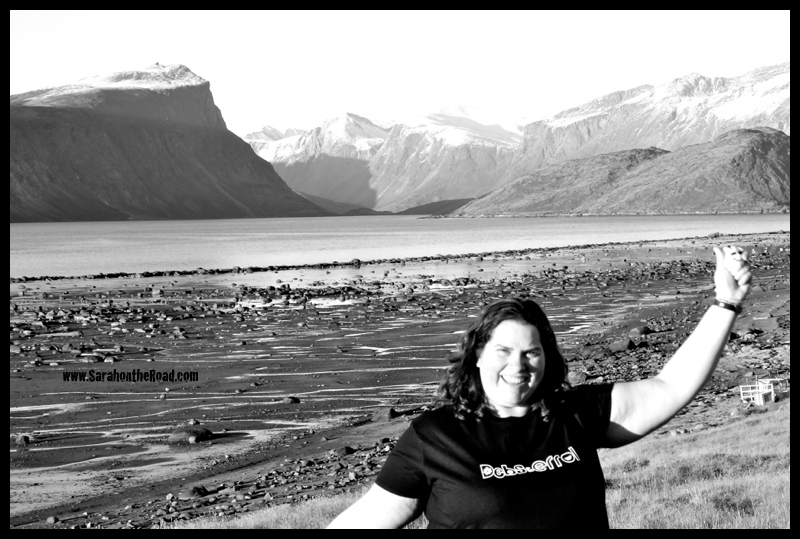 This entry was posted in Holidays, Random, Rants & Reflections on September 19, 2013 by Sarah on the Road. 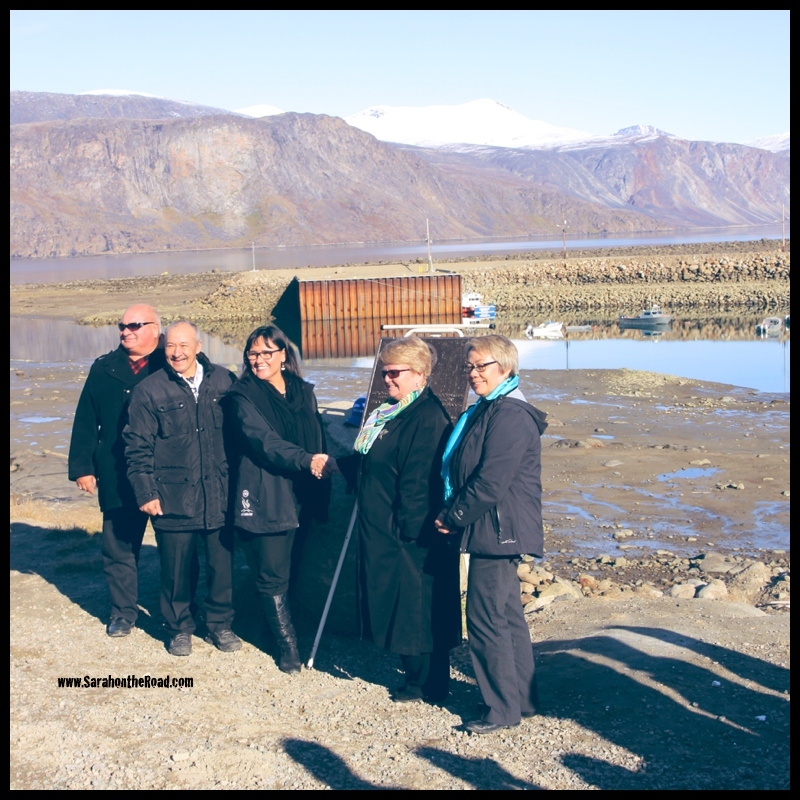 Pangnirtung’s Small Craft Harbour-Officially Opened! 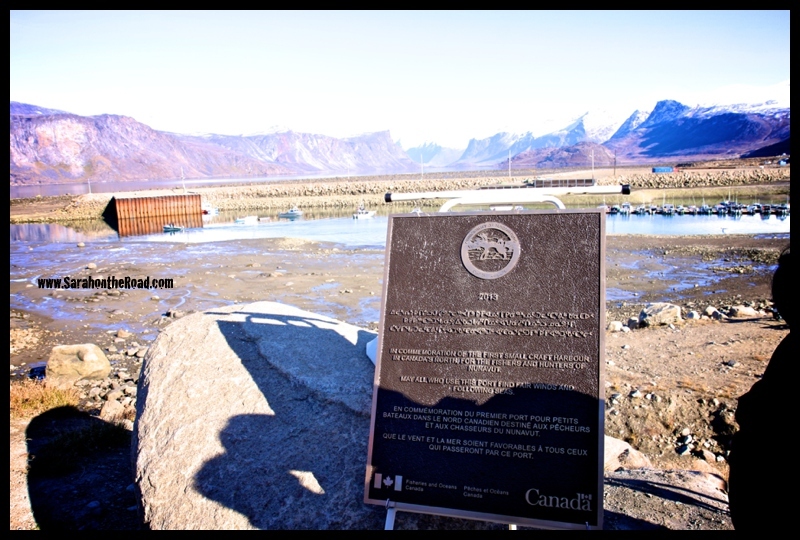 Four years ago last August I stood outside the Pangnirtung Community Centre and listened to our Prime Minister announce funds to build a Small Craft Harbour. At the time I was 1/2 way through my 10month contract and never expected to see what the Harbour would look like! Well it’s a good thing I’m not a betting woman or I would have lost a bunch of money. 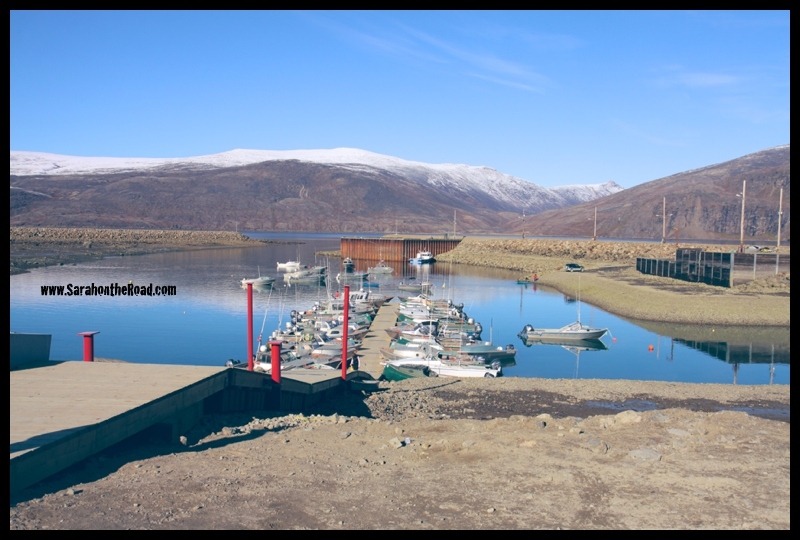 This morning I stood outside of the Community Centre for the official opening of Pangnirtung’s Small Craft Harbour. The construction included: construction of a fixed wharf, breakwater, marshalling area, sealift ramp and a dredged channel and basin. This was necessary because at low tide in 2009 most of the boats sat on the bottom of the harbour–but now because of the dredging hunters can access their boats and leave the community at any time! The Small Craft Harbour will also allow for larger fishing vessels to dock and unload their catches to be processed in our fish plant. Some of the smallest members of the community came out for the opening. Tonight there was a community feast at the Hamlet Centre to celebrate. I didn’t go…since returning from Arctic Bay I have been fighting an awful cold…so decided to stay home and continue to get better! 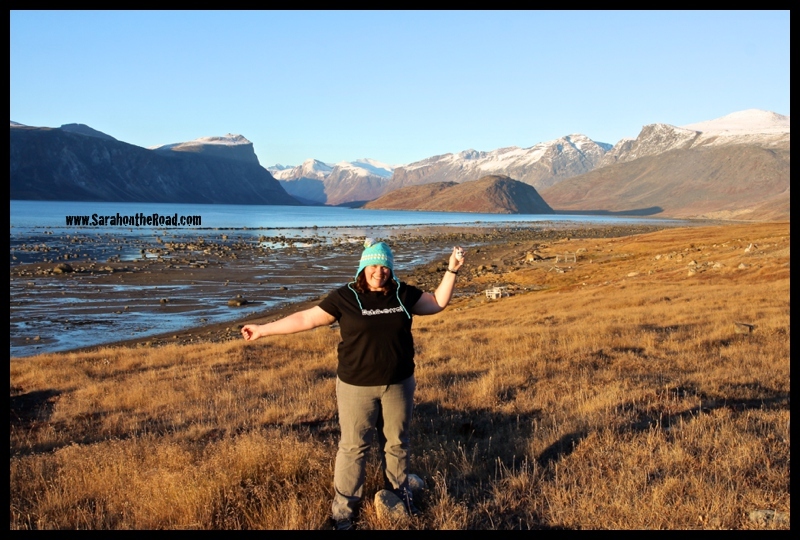 This entry was posted in Life in Nunavut on September 18, 2013 by Sarah on the Road. 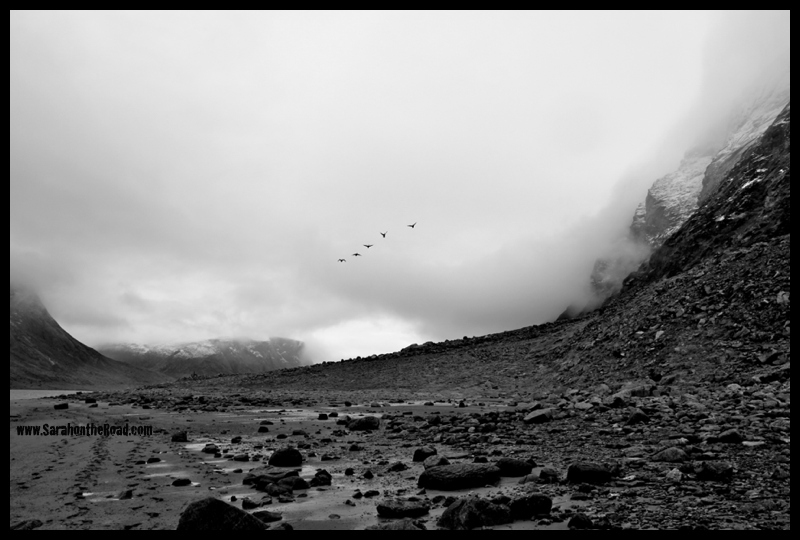 Geese flying over the Akshayuk Pass as we hiked on last Saturday. 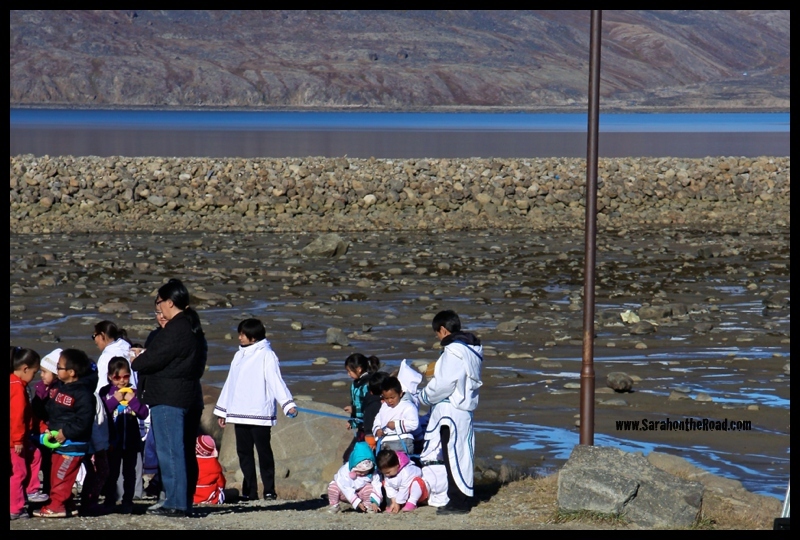 This entry was posted in Wordless Wednesday on September 11, 2013 by Sarah on the Road.